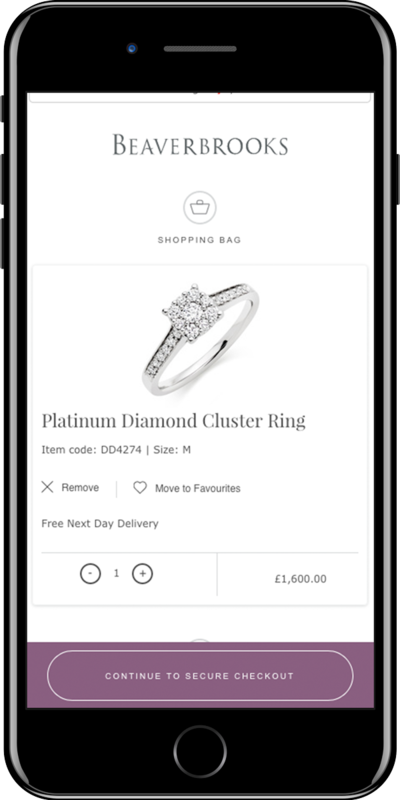 Whether you’re shopping for a special occasion, to treat your loved one or to spoil yourself, we want to make shopping as easy and convenient as possible. 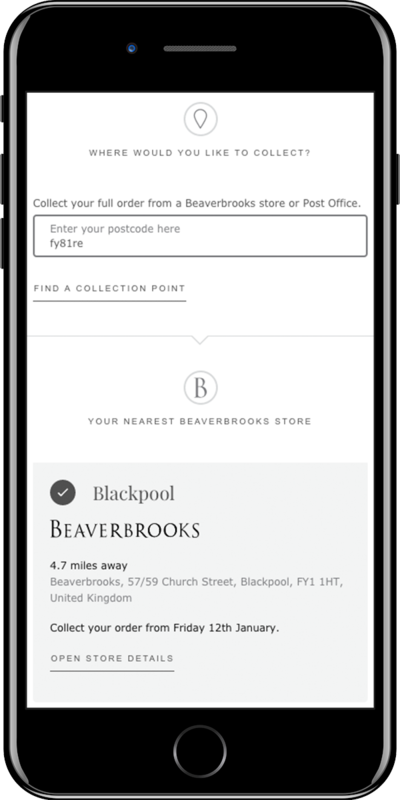 Our free Click & Collect and Local Collect services mean you can now have your parcels delivered to a convenient location without having to wait at home. You’ll never have to wait in for the post again with our Free Click & Collect service. Just collect your order from your local store at your convenience. We’ll even let you know when it’s ready for you. Once you’ve finished your shopping, view your shopping bag and then proceed to secure checkout. 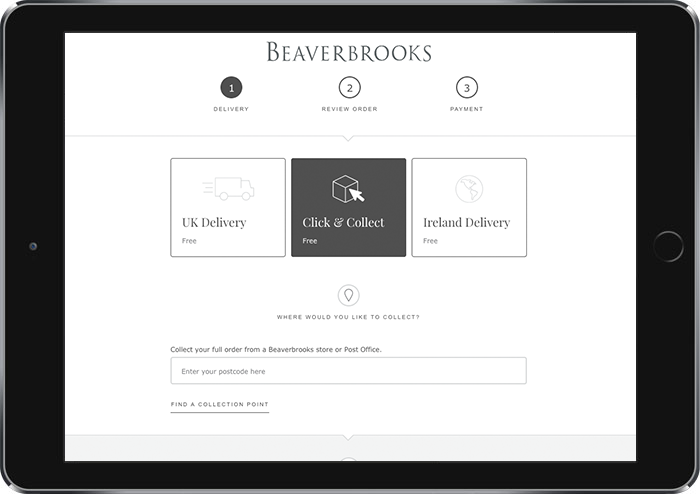 After you’ve signed in, you’ll be able to choose your preferred delivery option. Just click on the Free Click & Collect option. The next section will ask you for your postcode. Enter your postcode and your nearest store will be returned. Your estimated delivery date will be shown on your confirmation email. We’ll then let you know by email as soon as your order is ready to collect in-store. Don’t forget to bring some ID along with you. We’ll need some photo ID (passport, driving licence or Citizen Card), as well as the card you paid with and your confirmation email. We’ll look after your order for 14 days. We'll send you reminders if you don't collect your order, but if we haven't heard from you after that time your order will be cancelled and refunded. We’re pleased to introduce our new FREE Royal Mail Local Collect service which makes shopping for your gifts online even more convenient. 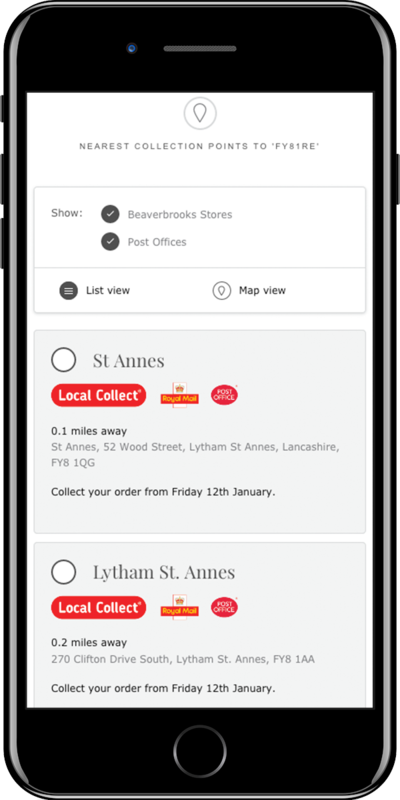 You can choose to collect your parcels from over 10,500 Post Office® branches and will also have Royal Mail parcel tracking so you know exactly when your parcel’s ready for you. Easy. Enter your postcode and press search. 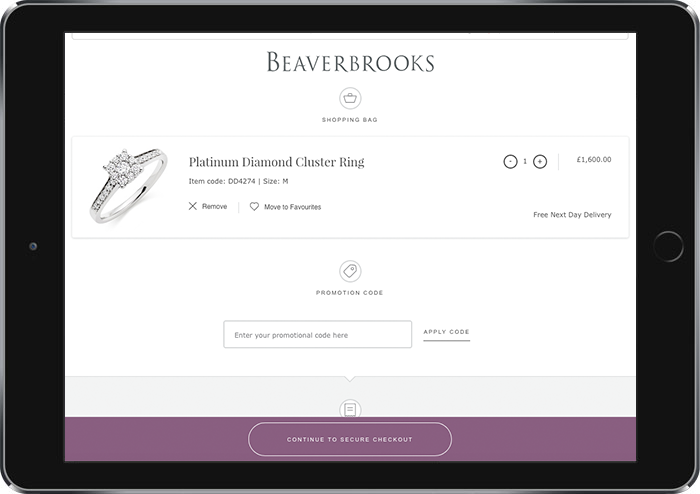 You will be given your nearest Beaverbrooks store and a list of Post Offices® that offer Local Collect, just select which ever one is most convenient for you and press confirm. Your estimated delivery date will be shown on your confirmation email. 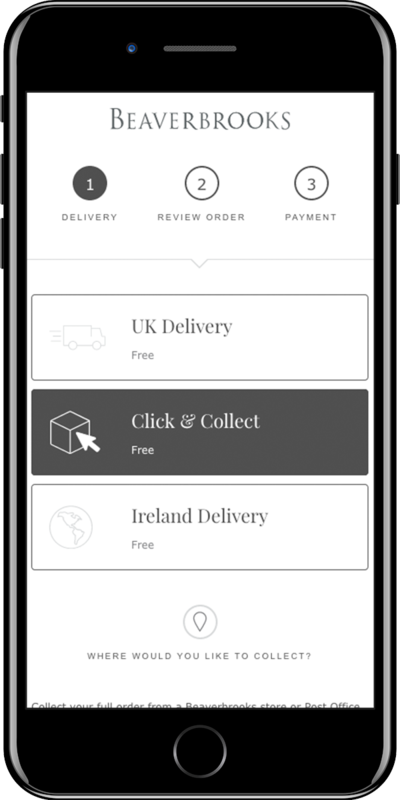 We’ll let you know when your order is on its way and provide you with a tracking number as well as SMS alerts to let you know when your order has arrived. When collecting your parcel, please take your parcel tracking number with you as well as some form of ID such as a credit or debit card, driving licence or valid passport. Once your order arrives at your local Post Office®, it will be available to collect for 18 days. Q. What is the Local Collect service? A. When using Local Collect, Royal Mail will deliver your parcel to a convenient Post Office® branch of your choice. With 10,500 branches to choose from you choose the easiest place for you to collect from - whether that be near your home, work or somewhere else convenient to you. A. Royal Mail will deliver your parcel to the Post Office® branch you have selected. Upon delivery, Royal Mail will send you an SMS text or email based on the contact preferences you selected when you placed your order. Alternatively, you can check progress of your item at www.royalmail.com and enter your parcel tracking number. Q. Why do I need to provide an email address or phone number? A. If you provide these details, Royal Mail will be able to confirm when delivery has taken place to your selected Post Office® branch. Q. How do I know the item has arrived at my selected Post Office® branch? A. 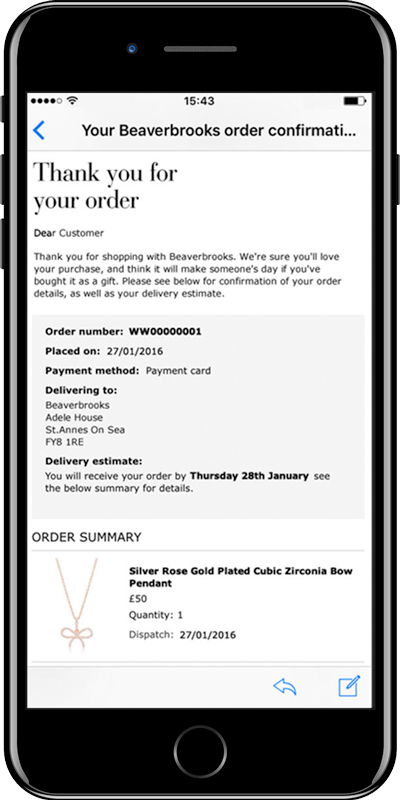 We ask for your email or mobile phone details when you place your order so that Royal Mail can confirm the arrival of your parcel. This will enable you to choose the most convenient time to collect it. Alternatively, you can check progress of your item at www.royalmail.com and enter your parcel tracking number. Q. 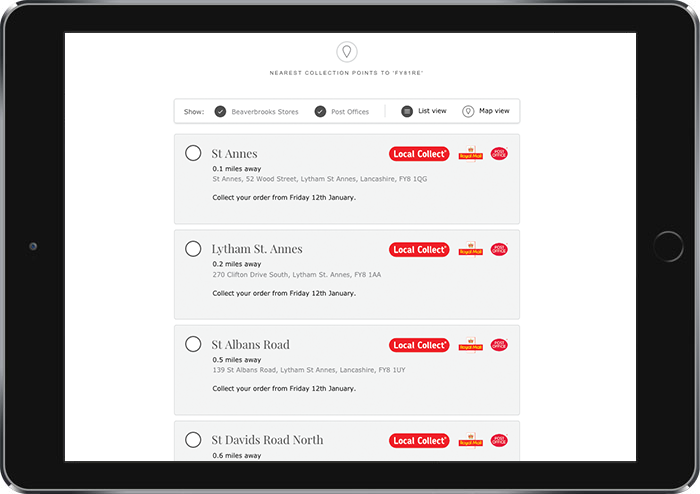 What areas of the UK do not offer the Local Collect service? A. 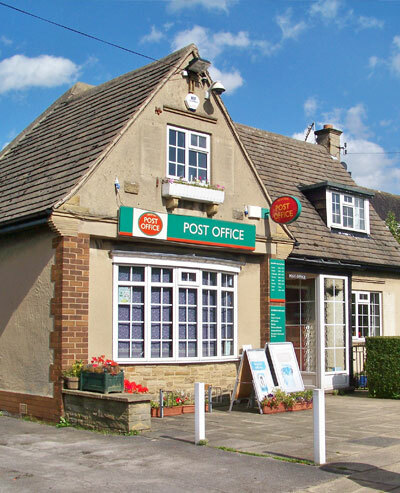 The service is available to 10,500 Post Office branches across the UK. It can’t be used for deliveries to the Isle of Man and the Channel Islands. Q. Why is my local Post Office® branch unavailable? A. Occasionally a Post Office may not be able to accept and hold your parcel. If this is the case, we will ask you to select an alternative from the list of branches provided. Q. What are the opening hours of my local branch? A. Opening hours for collection of parcels are against each branch shown. Opening times may vary by branch and time of the year e.g. early closing on Bank Holidays. Q. Is my local branch open on bank holidays? A. The opening hours for parcel collection are shown against each of the branches in the list. Opening times may vary by location and time of the year e.g. early closing on Bank Holidays. Q. What identification is required to collect my parcel? Under 18s (National Insurance Card, Medical Card or Savings Book). Q. If I use this service, will Royal Mail attempt delivery of my order at my home address first? A. No. The Local Collect service is used as an alternative delivery method by Royal Mail. Q. How long will my parcel be held at my local Post Office® branch? A. 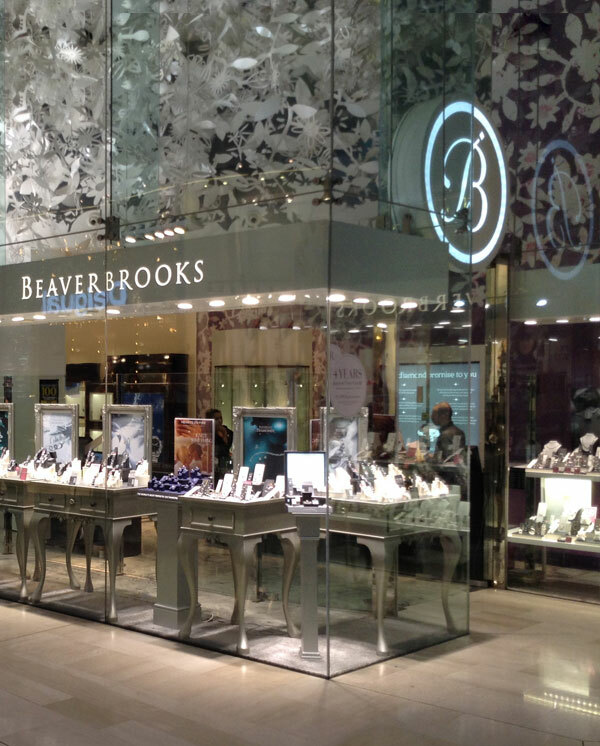 The parcel will be held for 18 calendar days before being returned to Beaverbrooks. Q. Can I change the Post Office® branch after placing my order? A. No. 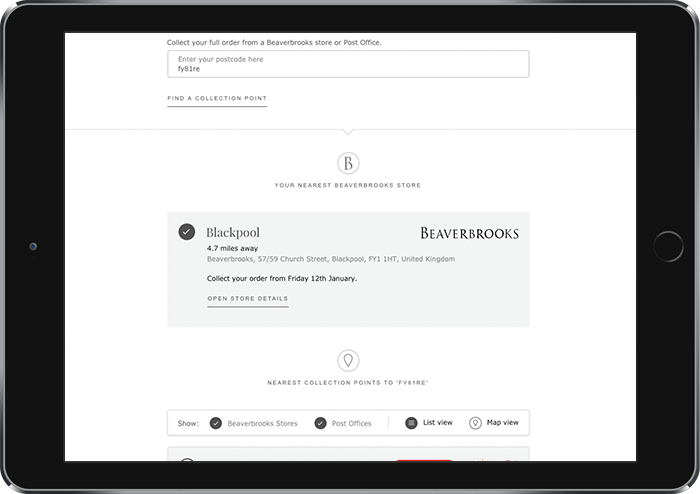 Once an order has been despatched, it will be sent directly to the branch you selected. Q. Can I cancel the collection from the Post Office® branch? A. No. Once an order has been despatched, it will be sent directly to the Post Office® branch you selected. If you do not collect it will be returned to us. Q. What happens if I have forgotten to collect my parcel? A. The parcel will be held for 18 calendar days before being returned to us. Q. Will I need to pay for the collection at the Post Office® branch? A. No. You will not be charged when you collect the parcel. Q. Can I collect the item when the shop is open but the Post Office counter is closed?